T-shirts are one piece of clothing that we can't live without. In the summer time, it's what almost everybody wears. It's short sleeved and light weight to keep us cool. In the winter time, it's an additional layer that keeps us warmer. They are undeniably a must have clothing piece. With that said, it's vital we buy quality and comfortable T-shirts to wear. With so many choices in material, colour and designs, how do you know what to buy? Here, I give you my advice for what to look for in a T-shirt. T-shirts are now available in a variety of materials. They come in cotton, cotton blends, and polyester. I gravitate towards cotton, and high cotton blends. The reason: it's breathable. This allows heat to escape your body, keeping you cool. I also like the soft comfort of cotton as well. I sometimes like having a bit of stretch in my T-shirt. 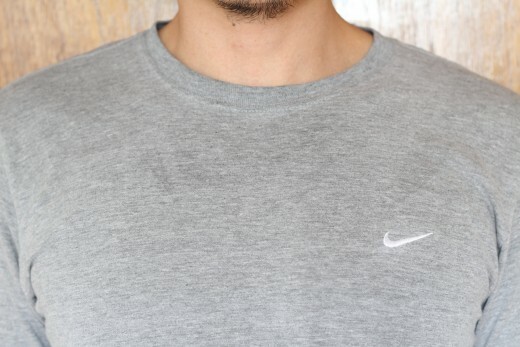 Cotton blended with spandex or elastane gives T-shirts some stretch. Having a bit of flex in your T-shirt can also make it more comfortable. When choosing the material, cotton is best. High cotton blends, like cotton and polyester, are also good bets. 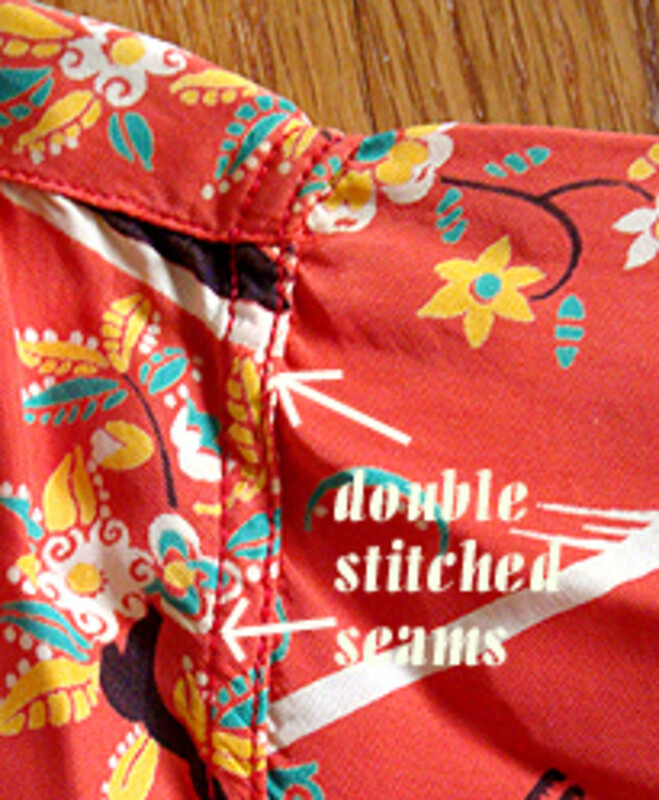 Cotton and polyester blends make T-shirts less likely to wrinkle so it's a winning combination. You also have a lot of choices in the colour department. But I tend to stay away from white or black T-shirts. White is not a good colour because it gets dirty very easily. Black isn't that great either because it tends to show lint and also deodorant stains. I prefer grey. It's a nice neutral colour, and it's not too hot for the summer or too cold for the winter. Blue, green, red, brown are also good colours. These colours don't show stains as obviously as white T-shirts. It's also nice to have a variety of colour selection in your closet. This let's you be more versatile with your style, and allows you to mix and match different colours and pieces together. T-shirt designs are a great way to show off your personality. There are so many designs to choose from. There are stripes, solid colours, graphic T-shirts, embroidered designs, and sewn on designs. I personally only stick to a few. I will wear horizontal stripes, and solid colours. I also like decorative motif, branding or logos sewn into the fabric. These sewn-on decorations are usually made of felt or thicker cotton. 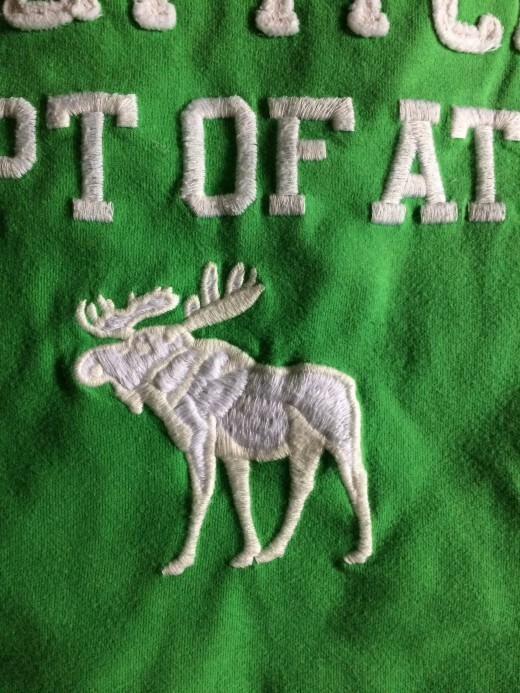 See an example of branding that's sewn on below. What I especially love is embroidered logos or decorations. See example in the photograph above. These tend to last longer and look more upscale. I try to stay away from printed on graphic designs. These will wear off or chip off with repeated laundering. When they do wear out, it creates a ruined design, which doesn't look good anymore. Also, printed on designs don't look sharp and rather cheap. T-shirts nowadays come in either regular or slim fit. Slim fit tends to be tighter and hugs the body more. 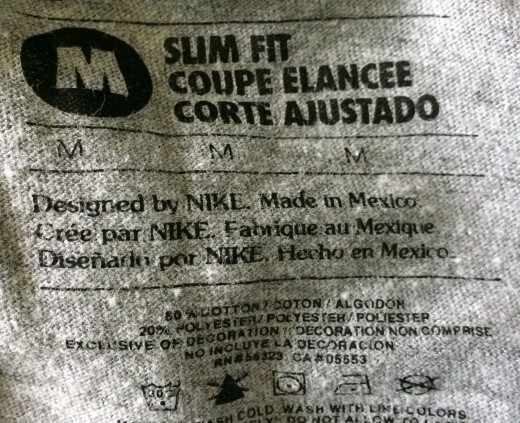 See photograph below for an example of a slim fit T-shirt. I tend to wear T-shirts that have a slightly tighter fit. This just makes my body look leaner. Big roomy T-shirts tend to add weight to your body. When I'm shopping, I often buy the slim fit. It's more flattering and tends to reveal your muscles more. Speaking of muscles, there are stores that specifically have tight T-shirts labelled as "Muscle." These are definitely more snug for those of us who have muscles to show off. I have worn some of these and they tend to be a bit too tight. 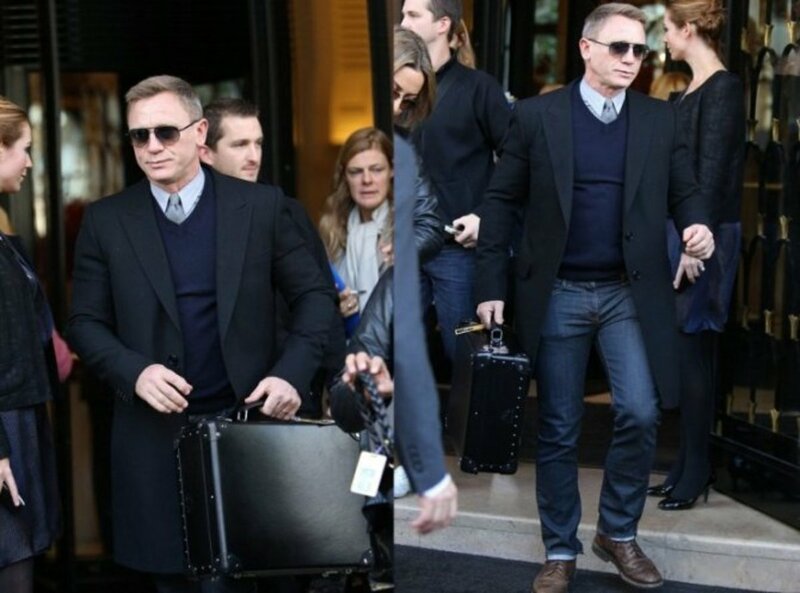 The takeaway is: stick to regular fit or try slim fit. Choose a fit that flatters your body type. The last factor to consider is the T-shirt style. What I mean here is crew neck or V-neck. A crew neck is your normal T-shirt with a circular collar. 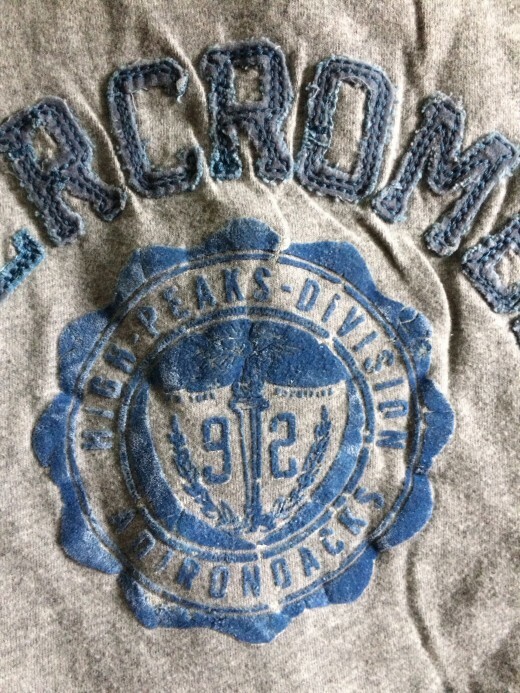 See photograph for example of a crew neck. A V-neck is one that has "V" shaped neckline. I often go for the crew neck style simply because it looks good. V-necks are great if you want to show off a bit of your chest. Some people think the V-necks are more stylish. If you want something different, then I suggest going for a V-neck. Otherwise, a crew neck will do. I will introduce you to an example of the ideal T-shirt (pictured below). My very best T-shirt in my closet. It's one of my favourite T-shirts to wear. I got it back in 2012 in Gresham, Oregon at a Marshalls. I can't remember how much I paid for it but I think it was less than $25. The T-shirt is a cotton blend. It's made of 80% cotton and 20% polyester. It's quite soft and doesn't wrinkle. As you can see, it is grey, one of my go to colours. It's a solid T-shirt with the brand logo embroidered on it. The white thread of the logo really stands out as it contrasts with the darker grey. This is a slim fit T-shirt so it's a bit tighter and leaner on the sides. I am slightly overweight, but even in this slim fit, my belly doesn't bulge out. The style is a crew neck. This is the most frequently seen style and it works. I think it looks great. This T-shirt is now five years old and it still looks good. The embroidered logo also looks top notch, like new. That's why I love these kinds of details. If it were painted on, I think it would have worn out by now. 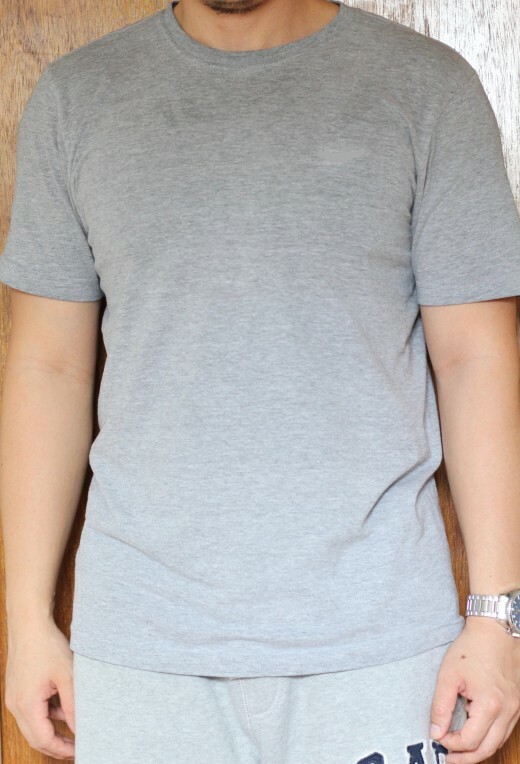 Overall, this T-shirt is quite stylish, high end-looking and is super comfortable. I love to wear it for lounging around or going out. It's my example of a great T-shirt. In summary, pick a T-shirt that is comfortable, durable, stylish and flatters your body. Choose cotton or high cotton blends. Stay away from black and white colours. Most other colours are okay. When it comes to design, pick ones that will last long and are durable. That means stay away from printed on designs. Stick with sewn on or embroidered designs. Slim fit is often more flattering, but may not look good on those who are overweight. Crew necks are a safe bet. But if you are adventurous, try a V-neck. I hope these pointers will help you select a comfortable, high end-looking, stylish T-shirt that you will love for to wear. Thanks Louise for your nice comment! I love this T-shirt. And you're right it's super comfortable. I totally agree it's important to get a T-shirt that looks good and fits well for the summer and also for the winter too. Thanks for stopping by and commenting! It looks a good t-shirt, and comfortable too. It's very important to get a t-shirt that looks good and fits right, especially this time of year when the weather is hot.